Looking for promotional stock or custom advertising flags or banners to increase business or gain marketing exposure? 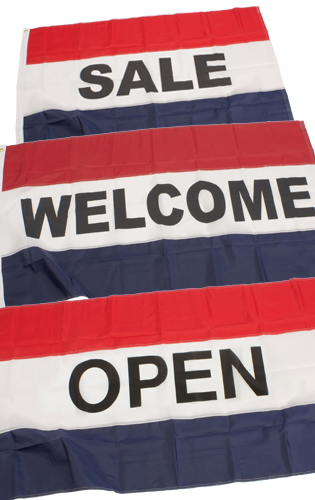 AdvertisingBannerFlags online offers the largest selection of discount custom printed indoor and outdoor flags as well as cheap stock messaging displays in a wide variety of sizes, materials and styles. In addition to our namesake 17-foot portable GiantPole flags (and their slightly shorter but still hugely effective 13-foot cousin the TriPole), we offer affordable custom printed full color graphics on promotional banners and stands, feather and teardrop flags, pop-up displays and street pole signs. 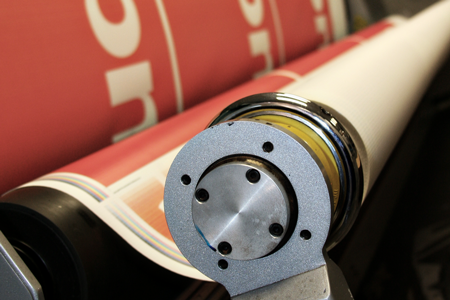 Our fast-turnaround printing options include fabric or vinyl material printed in 1, 2, 3 and full-color on either one or both sides. 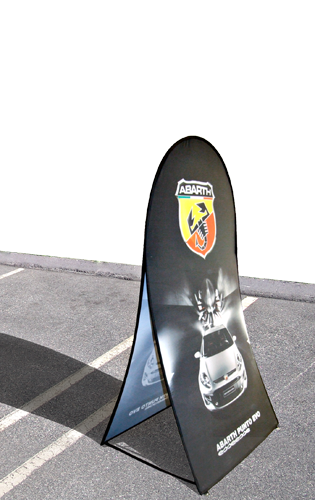 Cheap custom designed advertising flag displays are an economical way for businesses in any industry to create year-round high visibility and marketing messaging that will attract and inform customers. 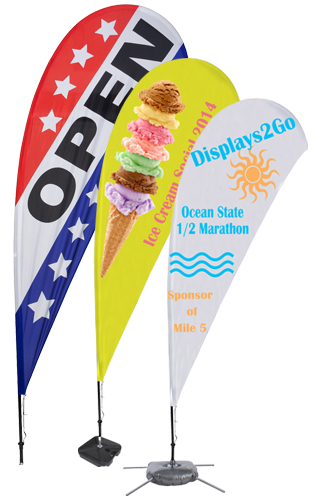 While most of our advertising banner flags, also known as promotional flag banner displays, are designed for outdoor use, many of the stands and flagpoles are perfect for use indoors as event or trade show accessories. The majority of our lightweight, portable promotional display banner kits include storage bags for safety and transportation. Custom teardrop and feather signs are ideal choices to promote new merchandise, publicize sales, announce upcoming events or simply increase brand recognition by advertising your business name and/or logo. 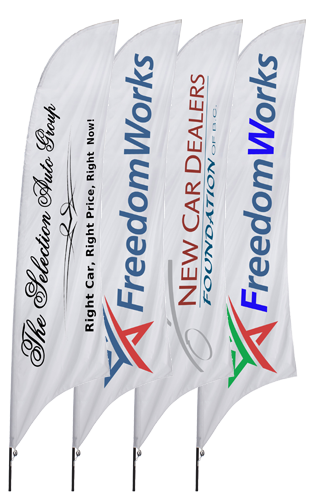 Teardrop advertising banner flags are available in medium sizes from 7.5 to 13.5 feet tall. These custom or stock messaging displays come with multiple mounting options, for use both indoors and outdoors. 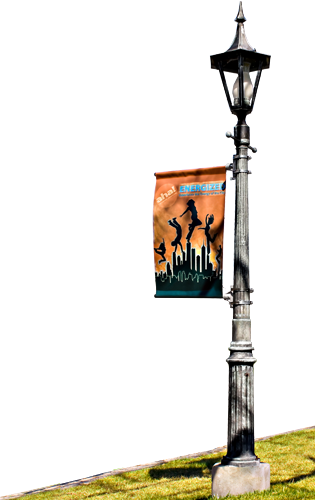 GiantPole promotional flags are the largest of our advertisement flagpoles and stands, and stand just over 17 feet high. These models include folding polymer bases that can be filled with water or sand for maximum stability in fair to moderate weather conditions. 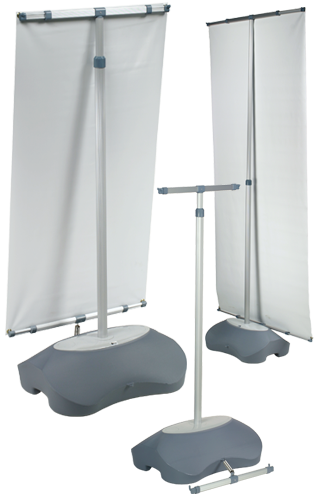 Two carrying cases are included with each of these banner displays to make moving or transporting them a snap. 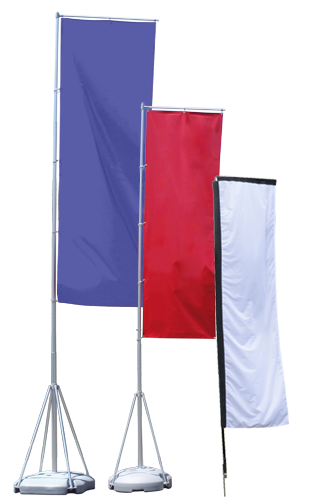 These towering portable messaging flagpoles offer the most impact for the lowest price. 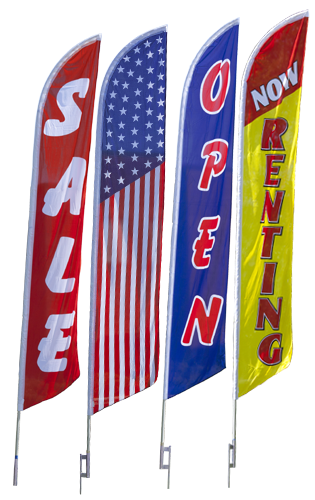 AdvertisingBannerFlags.com is America's leading indoor and outdoor advertising flag printer and flagpole stand manufacturer. Our huge inventory is the best place to buy quality trade show displays and flag hardware at discount prices with fast shipping. Our customer service representatives are available in person and online to answer questions or assist with orders Monday through Thursday from 8 a.m. to 6:30 p.m. and Friday from 8 a.m. to 5:30 p.m. EST at 800-572-2194, or via the handy chat option on our site. 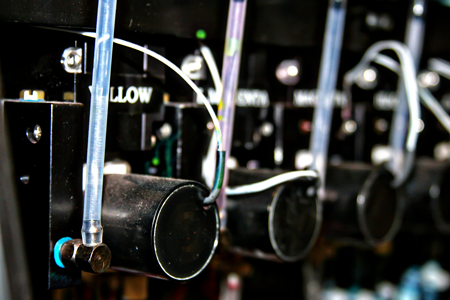 Our multiple fully-stocked, on-site warehouses allow us to offer same-day shipping on most orders placed before 3PM EST. 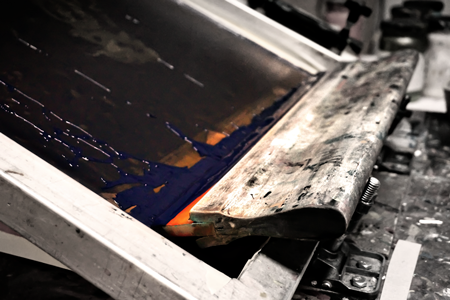 Same-day shipping is not available on freight-shipped or custom printed orders, although our on-site production facilities allow us to ship even custom orders quickly! No matter what your advertising needs are, you will be able to find the best promotional models in our huge online inventory at AdvertisingBannerFlags.com!